Dog Grooming Service, 20+ years of experience, I know how to work comfortably with your dog. I'm a dog lover, I love what I do. I have references available upon request. 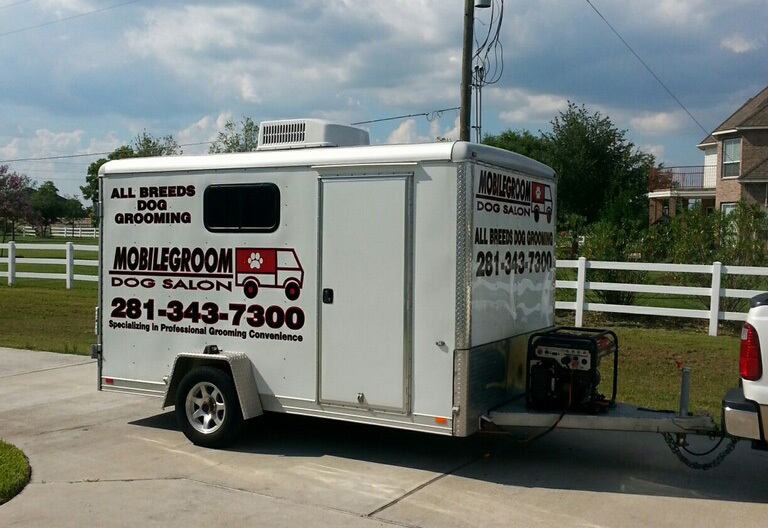 Mobile Grooming Service in Sugarland TX, Richmond TX, Rosenberg TX, Stafford TX, Missouri City TX and Katy TX. 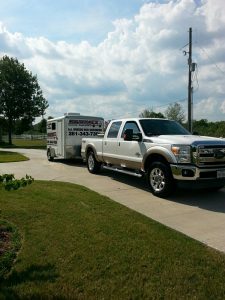 I have been serving Stafford TX since 1994. 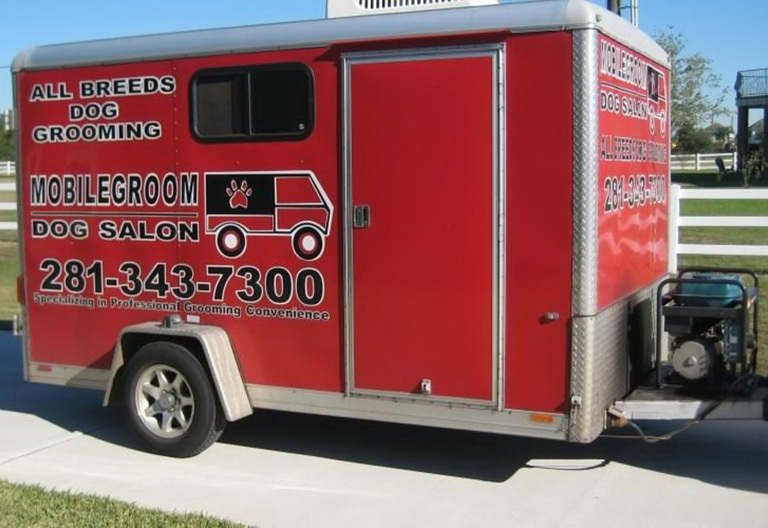 You may have seen me around town towing my Mobile Grooming Dog Salon red trailer. 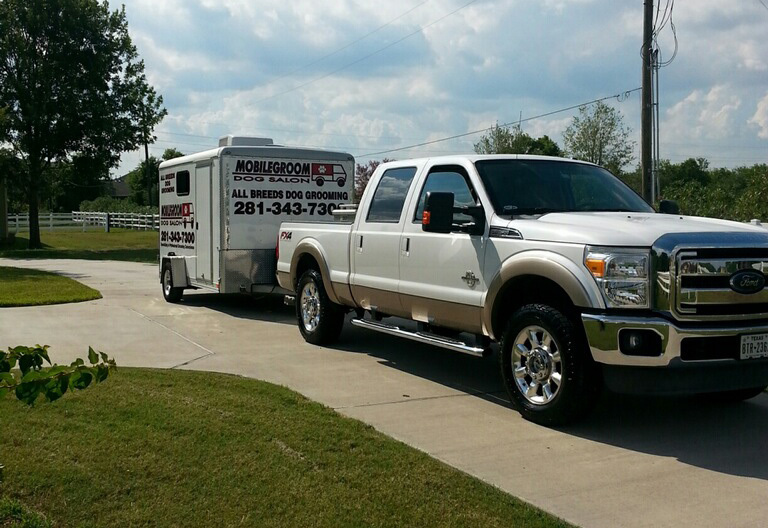 Most of my clients are on a routine schedule of their choice for convenience; this typically is anywhere from 1-6 six weeks. Although that is not required, I do ask that you give me a call in advance to fit you into my schedule. 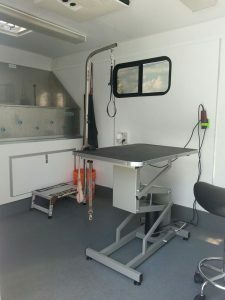 My Mobile Grooming Dog Salon is totally self-contained; it includes a 15-gallon electric water heater, a 50-gallon fresh water tank for bathing and also a 50-gallon holding tank for grey water disposal. I use the latest grooming tools available and the salon is thoroughly cleaned after each dog grooming session. My goal is to create a comfortable environment for your dog and I to work together. The environment has AC to keep cool in the summer and a heater in the winter. I am a big time dog lover and I love my job! That’s why I do what I do. I can provide references upon request from many happy dog owners I’ve worked with over the years. 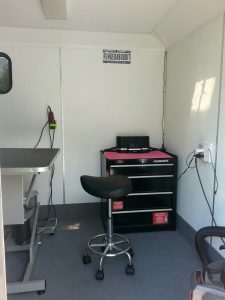 Groomer and Dog only, there is absolutely no contact with other dogs in my grooming trailer. 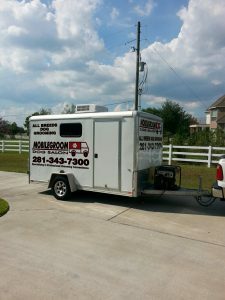 Grooming in Sugarland, Richmond, Rosenberg, Stafford, Missouri City, Cinco Ranch. 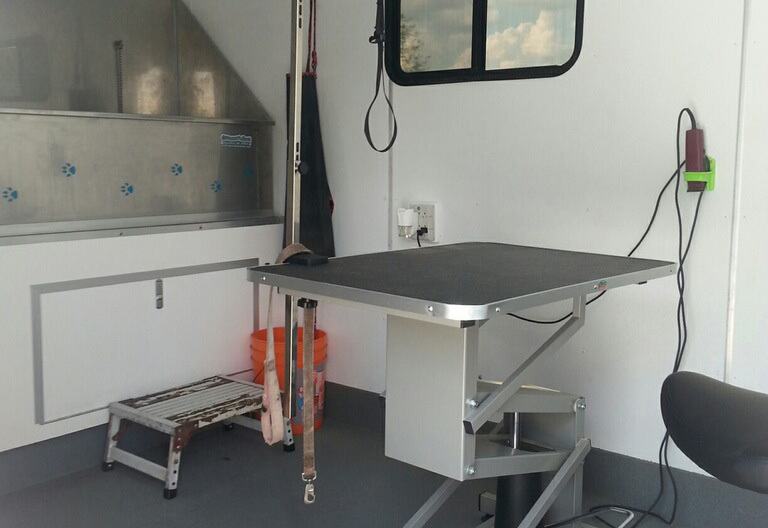 My dog grooming station is thoroughly cleaned after every grooming session with each dog. 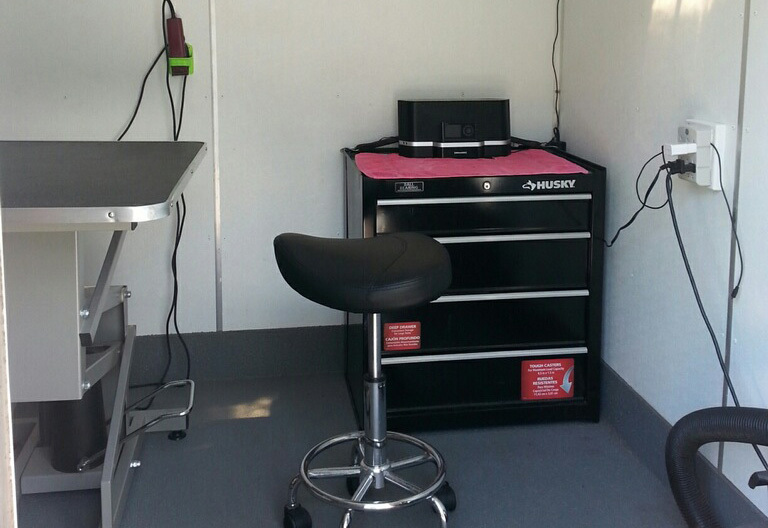 My trailer is equipped with the latest dog grooming tools and clean-heated water. Your dog is always comfortable during the grooming session.